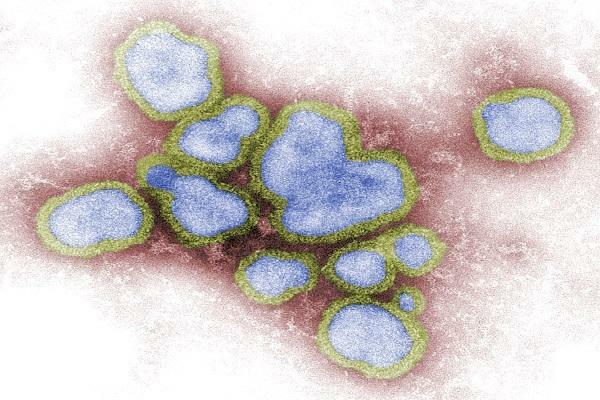 Digitally-colorized image of a collection of influenza A virions. University of Georgia researchers have developed a new flu vaccine that may one day take some of the guesswork out of fighting the virus. The vaccine protects against the H1N1 virus. It caused a global pandemic in 2009, with nearly 61 million cases in the U.S. alone, according to the CDC. H1N1 is now one of the many common, seasonal flu strains. And that’s one of the issues this vaccine is supposed to solve. Currently, drug makers have to predict which variations will be prevalent during flu season. Effectiveness can vary wildly from one year to the next. The UGA research is part of of a worldwide effort to develop a vaccine that’s effective against all strains of the virus. The university worked with scientists from French pharmaceutical firm Sanofi Pasteur. While their vaccine was effective in mice, a truly universal flu shot for humans is still years away. The team published their findings in the Journal of Virology, and they’re presenting at a vaccine conference in Washington this week.